Family owned since 1939, Camelot designs and creates stunning yet comfortable engagement, wedding, and anniversary rings for women and for men. These rings are heirloom quality, made to last a lifetime, and are intended to be passed down to future generations. Camelot rings are proudly created, designed and manufactured exclusively in the United States. At Diana Jewelers of Liverpool, NY, you can be absolutely certain that your ring is made with the highest standards in mind, with careful consideration given to both the metal and diamonds, assuring generations of enjoyment and adornment. Camelot's diamond rings are graded to the strictest of standards as set by the Gemological Institute of America. Camelot's standards are extraordinarily high. Camelot rings are made using very meticulous crafting processes like the lost art of die-striking, machine set diamonds, and refined metals. • Die Striking - A die-struck ring is made by stamping metal (gold, silver, platinum) onto a metal die under several tons of pressure. The finished ring has no porosity (air pockets within the gold or platinum), it will polish brighter, and will be more durable. 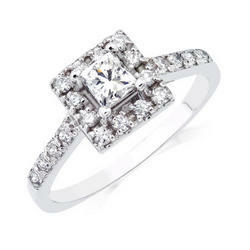 • Machine Set Diamonds â€“ Machine set diamonds are set in place more precisely than they ever could be by a human hand. Camelotâ€™s channel-set diamond bands are created by machines that have been programmed to produce incredibly high quality rings with diamonds that simply don't fall out. • Refining - Refining is the process of purifying metal. Camelot is one of the only manufacturing firms with its own refinery. Not only does this save them money to pass along to you, but it allows them to create a better product. Most companies re-use their gold. Every time gold is melted and reformed it loses strength and luster. By refining rather than simply melting their gold, Camelot uses "fresh" metal that polishes brighter and never appears dull. You expect your engagement ring and wedding bands to last forever and Camelot makes sure that will happen with their scrupulous processes and attention to fine detail. They create rings and bands that not only look stunning but also fit comfortably on your finger, since most of them as designed with "Comfort Feel". 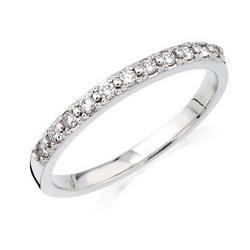 This means that the inside of your ring is gently rounded to make it fit more comfortably. From dazzling engagement rings to magnificent eternity bands, Camelot makes rings to symbolize the joyous union of love and commitment you share. Visit us at Diana Jewelers of Liverpool, NY today and let one of our trained jewelry associates help you select the Camelot rings or bands that are made just for you!